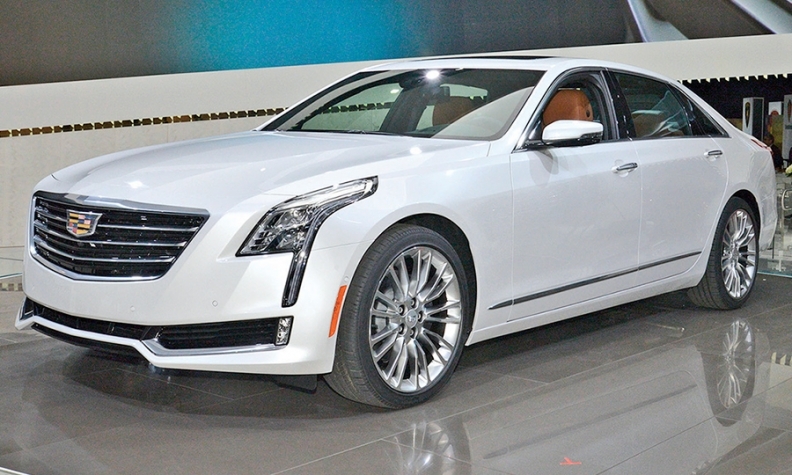 Cadillac says CT6 repair procedures were designed to cause as little disruption to dealers and body shops as possible. Cadillac said Wednesday that it is launching the Cadillac Aluminum Repair Network to ensure the lightweight rear-wheel-drive luxury sedan is repaired properly after a crash. Aluminum vehicles require repair facilities that are sealed off from those used to fix steel-bodied vehicles, dealers need different tools to repair aluminum body panels and technicians need to learn different repair techniques. With the CT6, Cadillac joins an elite but growing group of automakers producing aluminum-intensive cars and light trucks, including Jaguar Land Rover, Tesla, Ford and Audi. Cadillac plans to have between 100 and 200 dealers and independent body shops signed up and trained before the CT6 goes on sale in the first quarter next year, Eck said. The CT6 uses aluminum outer body panels and a combination of ultra-high-strength steel, cast aluminum parts and extrusions for the unibody or inner structure. These components are held together by GM’s patented aluminum welding process, self-piercing rivets, screws and adhesives. Eck said Cadillac won’t follow Ford and ship collision parts with repair instructions from the manual, but it will put repair procedures online and make them available for any body shop, in the program or not. But independent body shops that are not part of the Cadillac repair network will not be able to buy structural repair parts, Eck said. Eck said the CT6 repair procedures were designed to cause as little disruption to dealers and body shops as possible. As long as a tool meets Cadillac’s specifications, it doesn’t matter what brand it is, he said. Also, a dealer can seal off an area of the shop with a tent to repair a CT6 instead of dedicating a separate facility to fix the car. The training will be mostly done online and carried out through GM and I-CAR, the Inter-Industry Conference on Auto Collision Repair.